8. 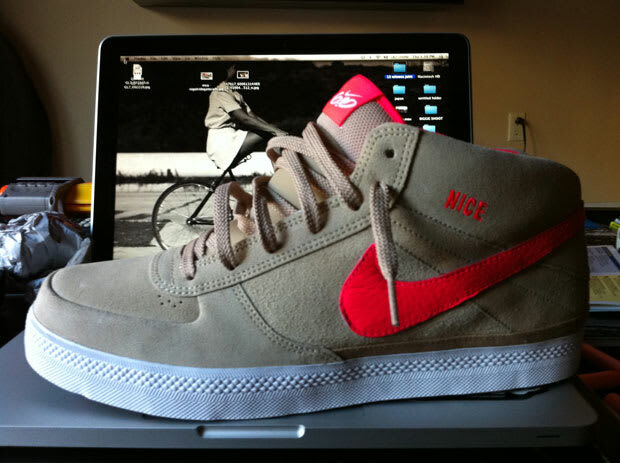 Nike 6.0 Mavrk 2.0 Mid ID "Tanned"
Nigel says: "Those are my favorite Mavrk 2 ID I did. When I made ‘em I was like, OK cool, they should be all right. I stole the colorway — Mayor did a pair of Air Force 1s, it was all tan and pink, and I was like ‘I have to do a Mavrk in that colorway,’ and I did it, and when they came out I was like ‘these are HARD.’ I probably did 30 pairs of Mavrk IDs, but these are by far my favorite pair. Those are just sick."